With all the new digital opportunities, plus tried and true traditional methods, it can be a challenge to find the right mix for your business. 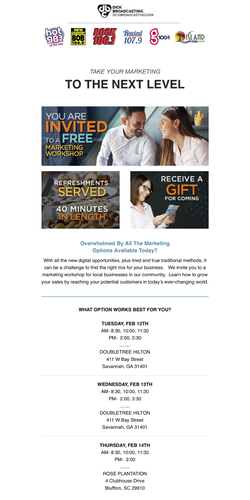 We invite you to a marketing workshop for local businesses in our community. Learn how to grow your sales by reaching your potential customers in today's ever-changing world. See graphic for dates and times.